Greetings and welcome to this great new way for us to stay in touch! PLEASE SCROLL DOWN FOR MY PERSONAL TRIBUTE TO MY DEAR FRIEND, BOB DENVER. For those of you that are into collecting T.V. and movie memorabilia, this is the place to acquire ALL NEW photos as well as other cool stuff from my television shows, pilots and feature films. You'll find excerpts from my book "Forever Dobie" and videos of my first television series, "The Bob Cummings Show" where I played Bobs nephew, "Chuck MacDonald". I have been in show business since I was six years old but my true love has been art and architecture. I am very excited to have the opportunity to share some of my work with you. Visit my Gallery where you will find something for everyone. If you are just beginning to collect I am offering framed four color prints. If you are a more serious collector you may be interested in my unframed Limited Edition Giclée Prints or my framed, Limited Edition Prints on Canvas which I personally enhance. My original oil paintings are on exhibit at galleries around the country. Here is a list of galleries in your area. 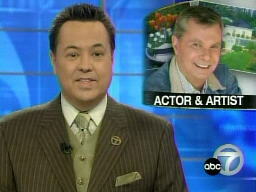 Recently I was featured in an Eyewitness News segment here in Los Angeles. Click one of the links below to watch the piece. High speed Internet access is required. Please share your comments and ideas and Dobie memories with me. Also, please feel free to visit me at MySpace.com., and view my resume at IMDB.com. I want to share a few thoughts about my dear friend, Bob Denver, who passed away on Friday, September 2, 2005. Bob and I have been friends for over fifty years. We both attended Loyola University in Los Angeles. I knew him briefly from his work with the Del Rey Players, the college theatre group. 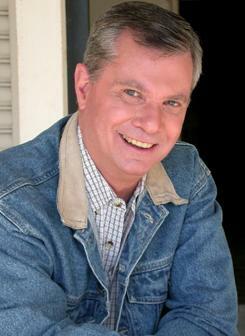 In 1958 he came in to audition for the role of Maynard G. Krebs opposite my character, Dobie Gillis. I had already been cast and the producers asked me to test on film with all the actors they were interested in for the role of Maynard. I must have tested with twenty actors, some good, most not. It was the end of the day and as I was leaving the studio the producer called me back to test with one more actor. It was a favor to a secretary on the lot - it was her brother. When I returned to the set I was amazed to see that the secretary’s brother was Bob Denver. From the moment we began to read the lines all the other actors who had auditioned for the role just evaporated. Bob and I had a rhythm and timing that was instant and a new comedy duo was born. For the next four seasons, I had the privilege to be Bob’s straight man. My favorite line? "Maynard, go home and feed your iguana." Maynard’s reply? "He don’t need me, Dobe, he can open the refrigerator door himself." 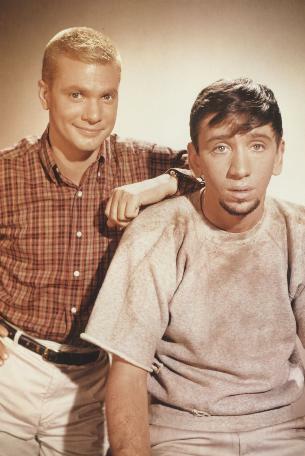 After Dobie Gillis ended its run, the next season Bob landed the title role of "Gilligan" and for the rest of his life, he and that character would become one. Bob was a gentle comedian and wonderful with physical comedy. Everyone loved Maynard and Gilligan; they were both characters that you could identify with and root for. We worked together on two Dobie Gillis reunion Movies of the Week in the 1970’s and 80’s and several years ago I joined him in the "Surviving Gilligan’s Island" movie. We had always hoped to work together again as Dobie and Maynard. In fifty years we never had a harsh word. My wife Joan, son Albert, and I send our love and prayers to Bob's beautiful wife, Dreama and his wonderful children. I will always cherish my friendship with Bob and feel honored to have been his straight man..."Goodnight, Maynard - now go feed your iguana." Send mail to hickrob@aol.com with questions or comments about this web site. Copyright © 2012 Hickman/Roberts Productions, Inc.